1. Never expose your home address.This rule is especially important for women who are business professionals and very noticeable. You can use your work address or a rent a private mailbox. 2. Use password to protect all accounts including cell phones, land lines, e-mails, banking and credit cards with a secure password that would be difficult for anyone to guess. Change it every year/periodically. Your secret questions should not be easily answered either. 3. Conduct an internet search using your name and phone number. Be sure that there is nothing out there that you are not aware of. A cyberstalker may have created a craigslist account, web page or blog about you. 4. Be distrustful of any incoming emails, telephone calls or texts that ask you for your identifying information.Most of my spam emails asks my personal information! The "Caller ID Spoof" can imitate your bank's caller ID. It is very easy for a cyberstalker posing as a banking representative, utility, credit card representative or your cell phone provider to acquire your personal private information. 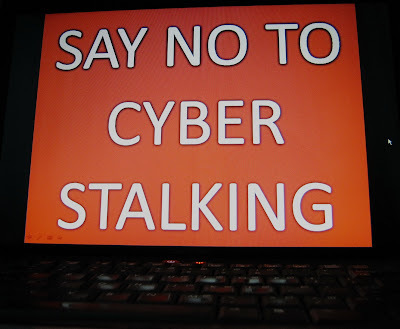 If you are doubtful- hang up the phone and call the institution straightly to be sure that you were not a target of a cyberstalker. 5. Never give away your Social Security Number unless you are absolutely sure of who is asking for it and why. With your "social" as they call it in the business, a cyberstalker now has access to every part of your life. 6. Apply stat counters or other free registry counters that will record all incoming traffic to your blogs.With a stat counter you can discover who is viewing your site or blog easily because the registry records the IP address, date, time, city, state and internet service provider. It is helpful for marketing and it also provides a very valuable safeguard in the event that your web site or blog is targeted. 7. Check your credit report status regularly, especially if you're a business professional. You can request a free copy of your credit once a year directly from the credit bureaus. 8. If you face broken relationships and leave your partner or spouse and in fact, they are abusive, troubled, angry or difficult – rearrange every single password on all of your accounts to something they cannot guess.It is also a good idea to get a new cell phone number and credit card that the ex doesn't know about. Make these changes before you leave if you can. 9. If you come across something suspicious – a weird phone call or an emptied account that can't be explained by your bank – it could be a cyberstalker so act accordingly. Change all your accounts, and ideally change banks. Check your credit report. If you have more than one or two "strange" incidents per month, it's probable that you are a target. 10. If you think you're a target, have your computer checked by a professional. 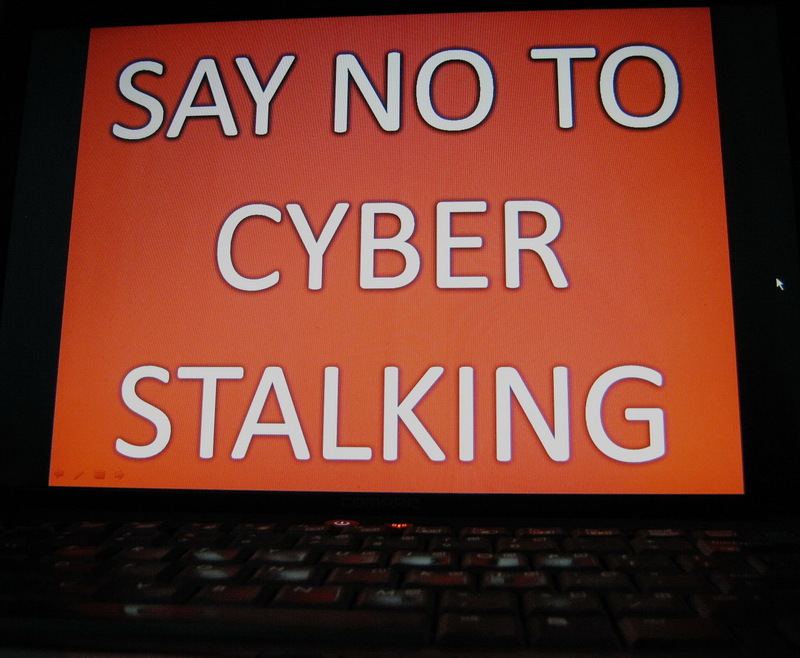 If you are already experiencing cyberstalking incidents, your computer may already be infected. Check your computer for spyware and other viruses!